My brother, Graham Pilger, was a pioneer in championing the rights of the disabled in Australia. As a senior Commonwealth official, he was part of the Whitlam government’s historic reforms. 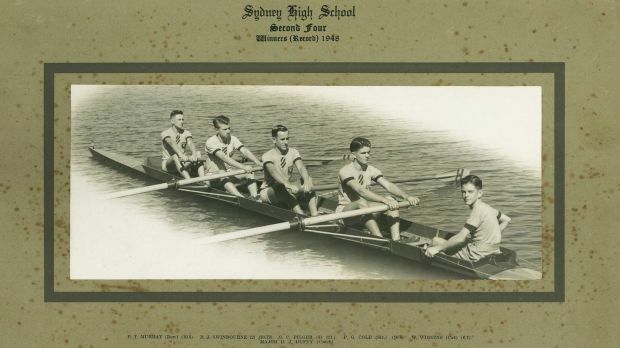 He was also an extraordinarily successful coach and mentor to Sydney High rowers during the school’s “golden era” in the sport, many of whom regarded his influence as life-forming and rallied to him in the last weeks of his life. Highly regarded oarsman Graham Pilger (centre). Graham and I grew up mostly in Bondi, in a small, dark, tin-roofed “dump” (Graham’s word). A place at Sydney High School made the difference or, more precisely, a place in a Sydney High rowing crew. Taught to row on Iron Cove by the great High and later Olympic coach Alan Callaway, Graham’s love of rowing was “my point of departure”. Graham Pilger at the Commonwealth Rehabilitation Centre at Mount Wilga, near Hornsby. The following year, his High eight was beaten by Shore by three feet, a defeat he felt passionately about all his life. High crews were skinnier and younger than those of the private schools but they often trained with a them-and-us zeal that evoked the class divisions in Australia, even at elite level. 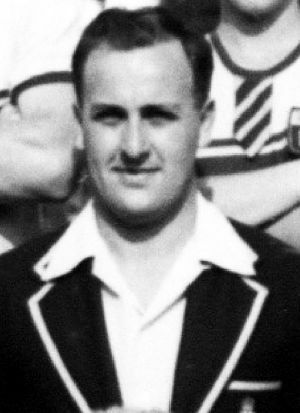 In his 20s, Graham coached High fours to a series of remarkable wins. His 1958 first four may well hold an all-time record of wins for schoolboys. In the bow seat was Rod Madgwick, later a Federal Court judge. “Graham showed us how to believe in ourselves and others,” he wrote. Peter Shenstone, founder of Planet Ark, said, “Graham touched so many of our lives on the journey from boys to men”. The Oscar-winning director George Miller wrote, “Graham always managed to encourage the best out of us”. 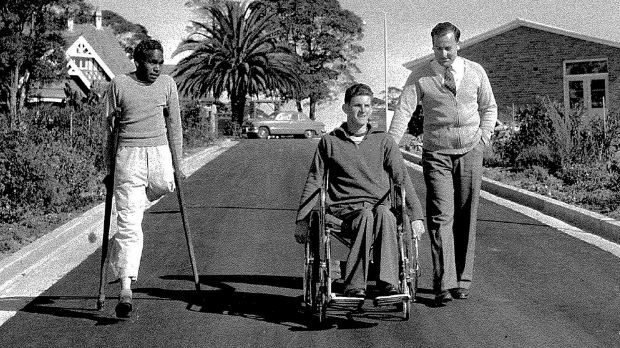 At 28, he was appointed manager of the Commonwealth Rehabilitation Centre at Mount Wilga, near Hornsby. His job was to ease seriously disabled men and women back into the community. I was then a cadet journalist and was enlisted by my brother into one of his subversive schemes; I was to interview patients and plant their stories in newspapers in the towns where they had come from. The plan was to get local employers to give them a job. We had a 100 per cent success rate. John Callaway, stroke of High’s first four in 1960, recalls that his crew would go into camp on the Parramatta River and in the very early morning set out upriver to where Graham would be waiting on a large rock at the water’s edge, his unmistakable coach’s voice bringing up the sun. “He would give us training instructions, watch us, then head off to Mount Wilga. We were so impressed by his dedication.” Like all High’s coaches then, he was unpaid. Callaway’s crew won the GPS title. High school rowing coach Graham Pilger in 1956. “Australians should not have to live in doubt or anxiety lest injury or sickness reduce them to poverty,” declared Gough Whitlam in 1974. For the first time, disability policy was a national priority. Graham was now advising ministers and introducing innovators, such as Britain’s Alf (Lord) Morris, the world’s first minister for disabled people. Landmark legislation for a comprehensive disability insurance scheme was before Parliament when the Whitlam government was dismissed in 1975. Graham’s view was that the political will to stand up for the vulnerable never recovered, yet the recent, long-delayed bipartisan commitment to a National Disability Insurance Scheme is surely his legacy, too. In retirement in Canberra, he devoted himself to his grandchildren and to the care of his wife, Wendy, whom he inspired to “go on”, as he would say, almost a decade after they were told she had months to live. At Sydney High, there is to be a Graham Pilger Prize. That, too, will inspire “going on”. Reproduced from the Sydney Morning Herald.